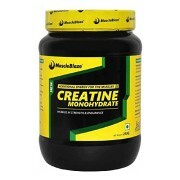 Creatine is a nitrogenous organic acid that occurs in vertebrate tissues and in urine. 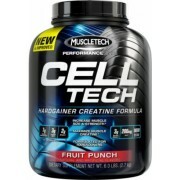 In muscle tissue, Creatine generally occurs as phosphoCreatine. 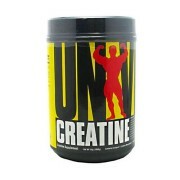 Creatine is excreted as CREATININE in the urine. 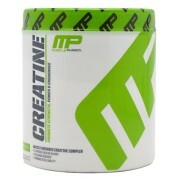 Creatine is naturally produced in the human body from amino acids, primarily in the kidney and inside the liver. It is transported by the blood for the use of muscles. 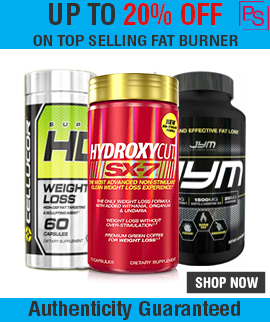 Approximately 95% of the human body’s total Creatine is located in the skeletal muscle.Creatine is not an essential nutrient as it is easily manufactured in the human body from L-arginine, glycine, and L-methionine. 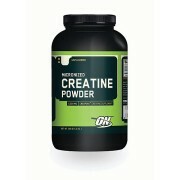 In humans and animals, approximately half of the stored Creatine originates from food (about 1 g/day, mainly from meat). Since vegetables are not the primary source of Creatine, vegetarians can be expected to show lower levels of directly derived muscle Creatine. However, vegetarians showed the same levels of Creatine after the use of Creatine supplements. Supplemental Creatine may have an energy-generating action during anaerobic exercise and may also have neuro protective and cardio protective effects on the body. MuscleBlaze Micronized Creatine Monohydrate is pure, unadulterated, pharmaceutical-grade creatine monohydrate that absorbs instantly in your body to give a continuous supply of energy to your muscles. With each serving of MuscleBlaze Micronized Creatine Monohydrate, you get 100% pure and unadulterated creatine that absorbs instantly and enhances your performance by releasing constant energy during intense activities. MuscleBlaze Micronized Creatine Monohydrate improves your athletic performance by quickly resynthesizing ATP during your high intensity workout sessions. 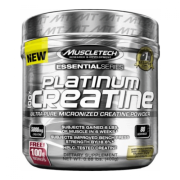 It also stimulates protein synthesis to help you attain lean muscle mass- which makes MuscleBlaze Micronized Creatine Monohydrate an ideal post-workout supplement that improves your strength and power. Loading phase (5-7 days): You can take one serving of 5g with200ml of water or non-acidic beverage of your choice four times a day for 5 days. Maintenance phase (21 days): One serving of 5g with 200ml of water or non-acidic beverage of your choice once a day, preferably post workout would give you good results.